The cultural production of Spanish-speaking New York is closely linked to the Caribbean and to Latin America at large, but the city also plays a pivotal role in the work of a host of authors from the Iberian Peninsula, writing in Spanish, Catalan, and English. In many cases, their New York City texts have marked their careers and the history of their national literatures. 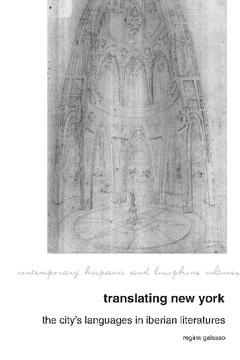 Drawing from a variety of genres, Translating New York recovers cultural narratives occluded by single linguistic or national literary histories, and proposes that reading these texts through the lens of translation unveils new pathways of cultural circulation and influence. Looking beyond representations of the city's physical space, Translating New York suggests that travel to the city and contact with New York's multilingual setting ignited a heightened sensitivity towards both the verbal and non-verbal languages of the city, garnering literary achievement and aesthetic innovation. Analyzing the novels, poetry, and travel narratives of Felipe Alfau, José Moreno Villa, Julio Camba, and Josep Pla, this book uncovers an international perspective of Iberian literatures. Translating New York aims to rethink Iberian literatures through the transatlantic travels of influential writers. The pre-publication version of Translating New York was awarded the 2017 Northeast Modern Language Association Book Award for the best unpublished book-length manuscript on modern language literature.